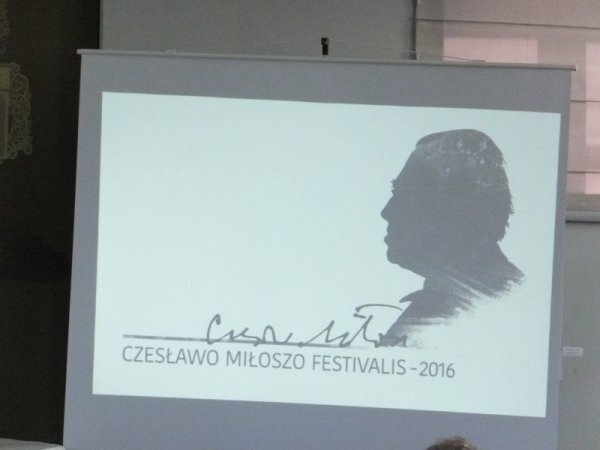 It is the second festival already taking place in Kėdainiai, which is organised in memory of Czesław Miłosz (the first one was held in 2014). This year’s programme was full of both intellectual and cultural content. On Saturday, 4th June, on the second day of the festival, in the Kėdainiai Multicultural Centre inhabitants of Vandžiogala listened with interest to the discussion between members of the Polish and Lithuanian PEN Club on “The Writer in Ever-changing Europe”. Famous Polish and Lithuanian writers participated in it. After the concert in Josvainiai participants of the 14th Polish Culture Festival “From the Isa River” rushed to the Kėdainiai Multicultural Centre as well. Those were folk song and dance ensembles, choirs, folk bands, vocal ensembles, brass bands from Poland and Lithuania. They gave a concert by the house of the local government. Then, playing, singing, and dancing, they went down the Great (Didzioji) and Old (Senoji) Streets towards the Multicultural Centre, to the Old Town, to continue their celebration there. Next, in the Kėdainiai Multicultural Centre, a meeting of authors took place – poets from Poland presented their works. People from Vandžiogala saw Algimantas Aleksandravicius’s photographic exhibition entitled “Last Citizens of WKL” (Adam Mickiewicz and Czesław Miłosz). In the late afternoon they listened to a concert in an Evangelical Reformed church, at which Simona Jakubenaite (a graduate of the Berklee College of Music) and “Silent Corners” performed. In the evening all the festival participants took part in a socialising meeting in the café “Ausruta”. The festival is not finished – it is still going on. This weekend, 10th-11th June, we are meeting again in Kėdainiai to spend time with intellectuals and listen to good music.